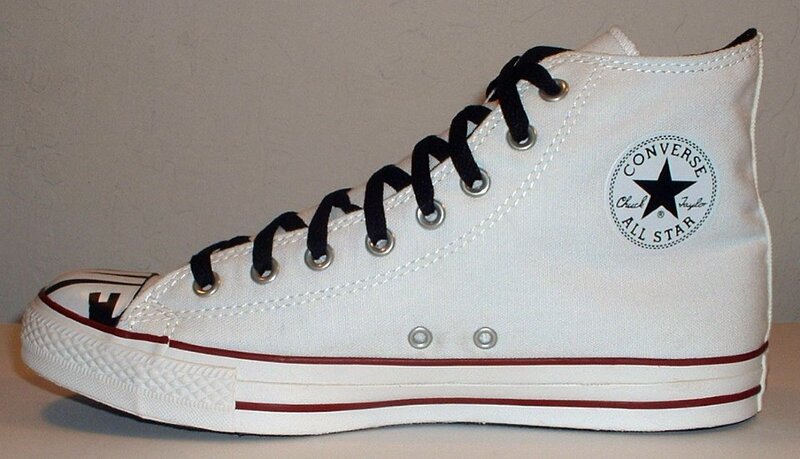 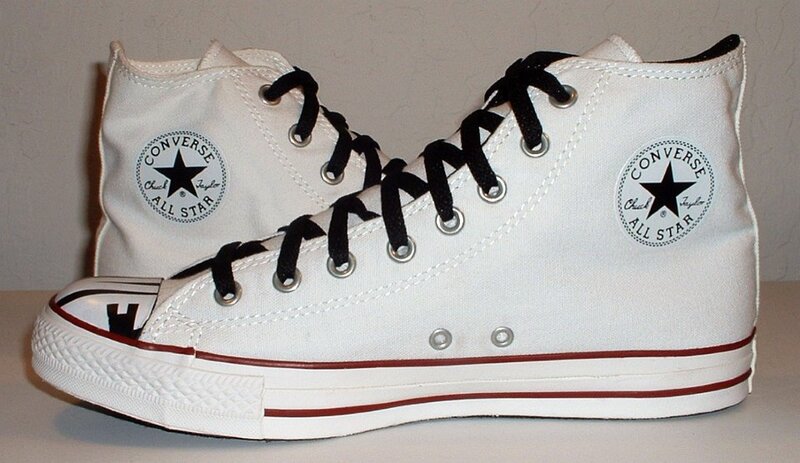 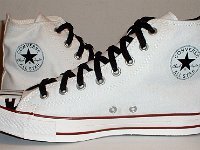 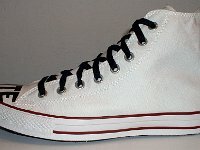 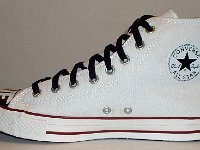 Photo gallery of contrast high top chucks. 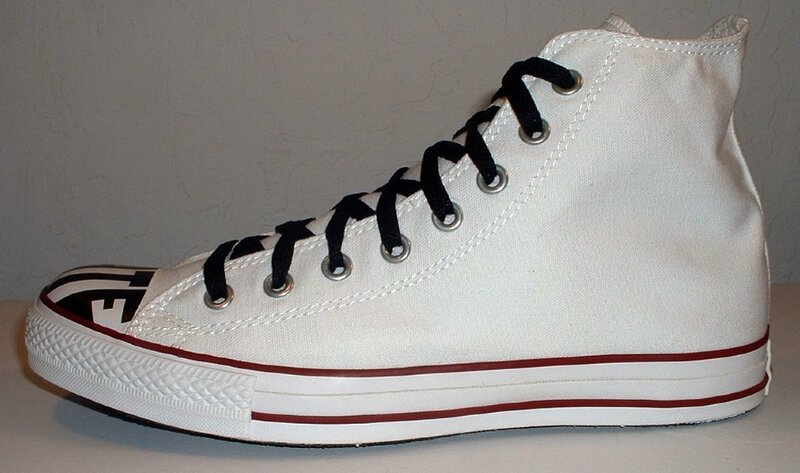 1 Contrast High Top Chucks Inside patch view of a right contrast high top. 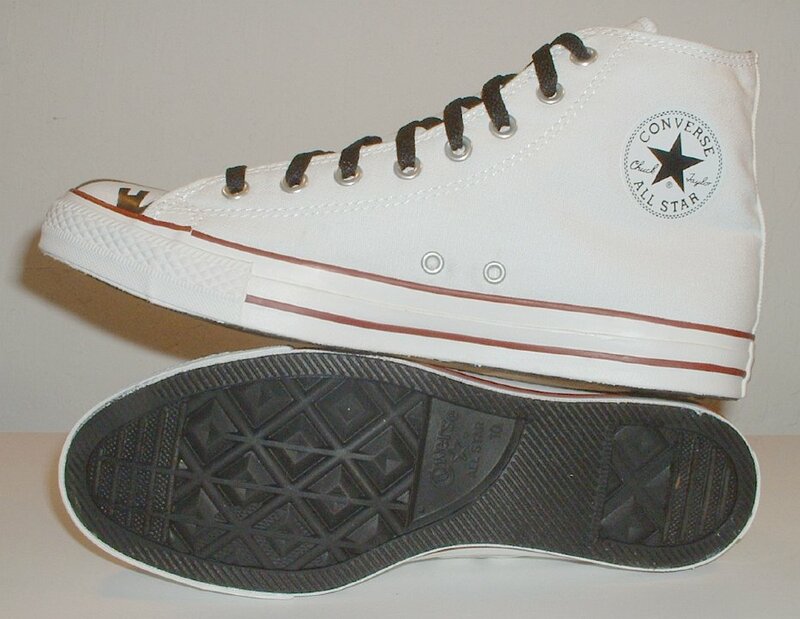 2 Contrast High Top Chucks Outside view of a right contrast high top. 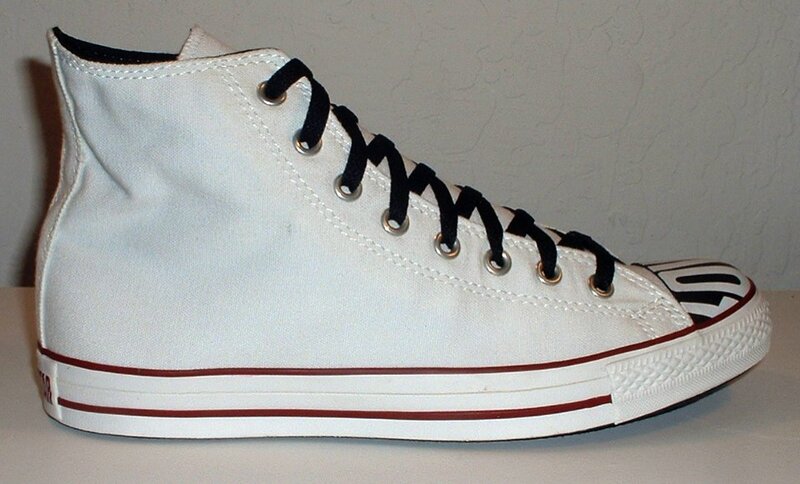 3 Contrast High Top Chucks Inside patch view of a left contrast high top. 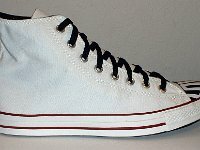 4 Contrast High Top Chucks Outside view of a left contrast high top. 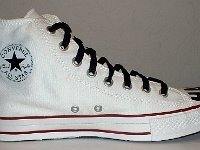 5 Contrast High Top Chucks Rear view of contrast high top chucks. 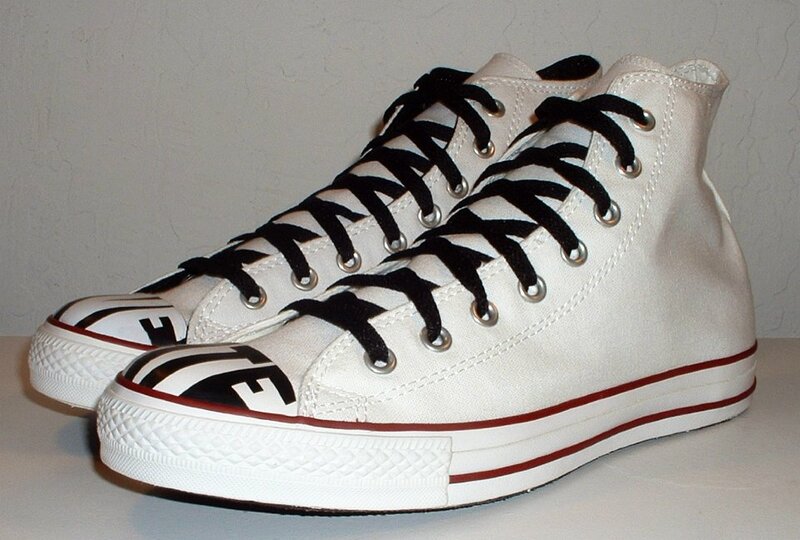 6 Contrast High Top Chucks Angled side view of contrast high top chucks. 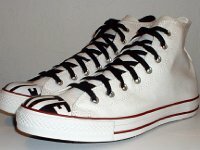 7 Contrast High Top Chucks Front view of contrast high top chucks. 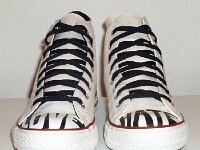 8 Contrast High Top Chucks Front view of contrast high top chucks. 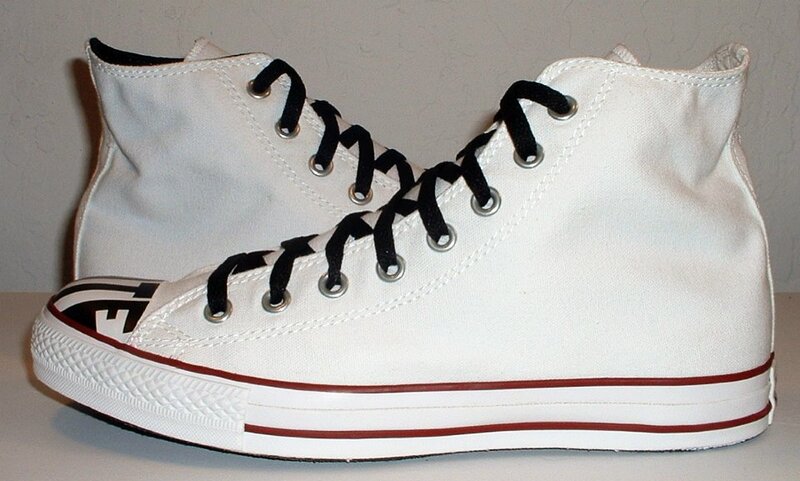 9 Contrast High Top Chucks Top view of contrast high top chucks. 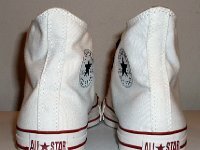 10 Contrast High Top Chucks Closeup view of the toe caps of contrast high top chucks. 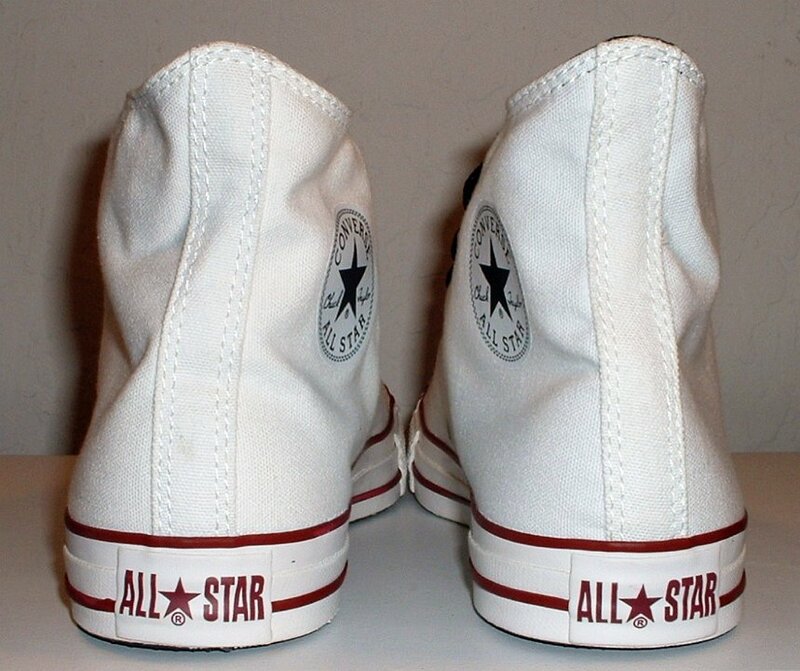 11 Contrast High Top Chucks Inside patch views of contrast high top chucks. 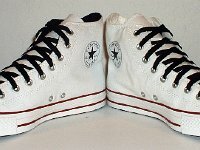 12 Contrast High Top Chucks Outside views of contrast high top chucks. 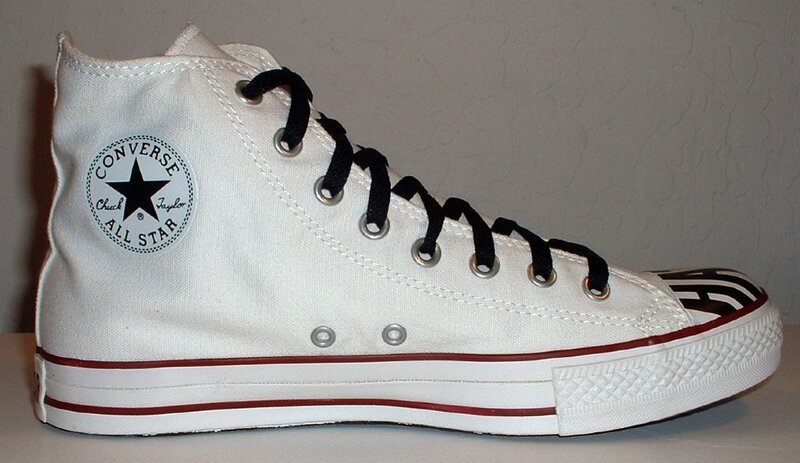 13 Contrast High Top Chucks Inside patch and sole views of contrast high top chucks. 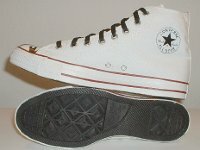 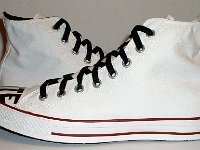 Contrast high top chucks are a seasonal model first made in 2007. 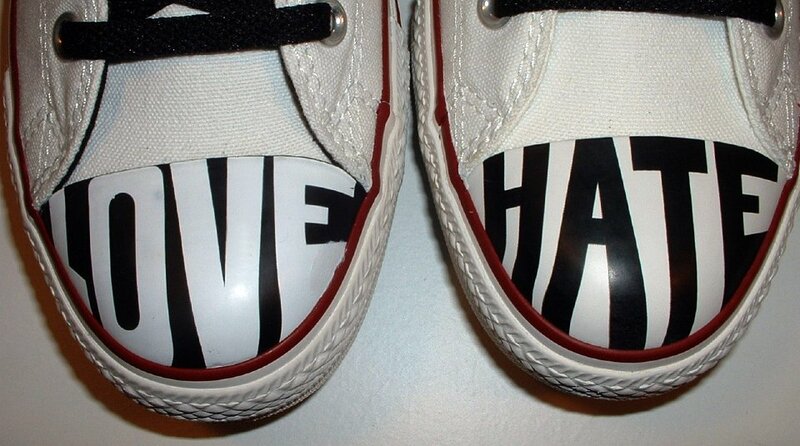 They have contrasting words on the toe caps (love and hate) and feature black and white contrasting uppers. 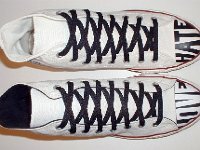 The right shoe has a black canvas interior while the left shoe has a white interior. 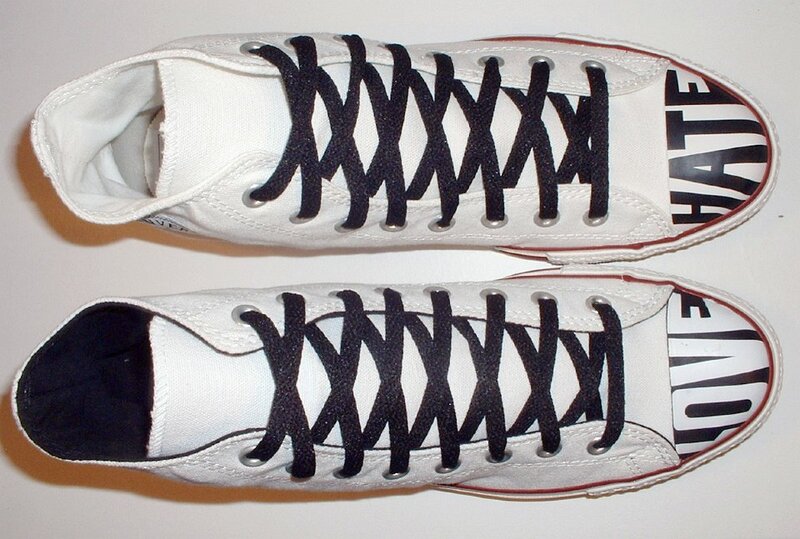 They come with black shoelaces and the shoes have red piping and a red heel patch.